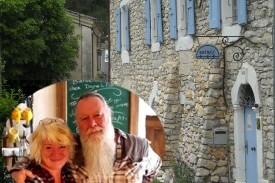 Looking for a B&B in Drôme? 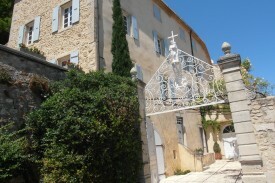 Take a look below for a bed and breakfast in Drôme. Change the options on the left-hand side to find more results. We are proud to welcome you in our "maison bourgeoise", a typical and character-full house, especially equipped for your wellbeing: LE SAREYMOND. Rooms in Chantemerle les Grignan in the heart of the Drôme Provencale, and just a few minutes from the historical city of Grignan with here castle. Charming contryside house, large, bright and spacious, located in a park along the Aulière brook, 10 to 15 people in calm and soothing surroundings. 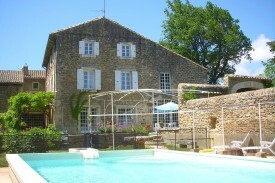 In an old substantial farm from XVIII you can find 4 B&B charming rooms and 1 cottage. Relax and calm aswell as nice food at the evenings. 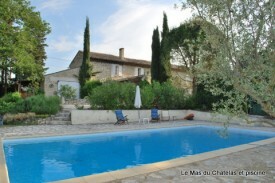 Le Mas de Fanny is a charming country inn with "guest table", and pool in Provence.